forward in time you must use both P and T together--i.e., C symmetry. JS: This is important. Also we need to be clear how the closed loop Feynman diagrams are needed for unitarity. Is it only for scalar Higgs diagrams or more general? R-bar L)] as per the Weyl form of the Dirac Lagrangian. I haven't fully checked the algebra, but I think it is right. translators as back up. They settled on Latin. Feconey Cuzzin let out a laugh, then covered his mouth, and apologized. First mate also whipered head to head. “Port of Amalfi,” said Lazzaro. “Are you near Amalfi now?” asked Assebraker. Syria, in order to buy the Byzantine silks that it resold in the West. “More like Mathematics,” said Assebraker. Then she spoke to Gage. thing up on the hills,” and he pointed at Dinny. “Or demon!” said Manuel Psaila. “Or the Questing Beast,” said Benedict Bonacci. “”D, none of the above,” said Assebraker. “It is called a dinosaur. nowhere near Amalfi, according to their mariner’s compass. “The Crusaders interrupted. “I’ll get back to all that,” said Gage. time) a serious science factual description of a spacetime wormhole. is from the fiction and towards the fact. Old favorites, such as H. G.
without producing problems such as the notorious grandfather paradox. movies, which Nahin comments on while missing their point entirely. coconut, radiation-preserved salad vegetables, and wine. 2) nonunitary entanglement signals with non-orthogonal Glauber macro-quantum coherent states at the transmitter entangled with single qubits at the receiver. “Here’s to the success of our mission,” said Gage, while a grad student handed out bottles of champagne. “We got our dinosaur, and transported her to this desert island,” said Assebraker. He did the saber/bottle maneuever. The top of the bottle, still corked, flew in a parabola, landing neatly on a campfire. Everybody laughed. Assebraker noted Feconey Cuzzin’s tiny facial expression changes when Gage said “‘steal’ the time machine.” She was even more sure that the pirates had a dastardly plan. “Few of the writers of Dr. Who have had the imagination actually to use his time machine in this kind of way.” Said Gage, still quoting Gribbin. “The TARDIS guy,” said Scatty Vickerman. “Which led where? Or When?” said the pirate captain. “Channel Tunnel?” said Feconey Cuzzin. “The English Civil War?” said Feconey Cuzzin. “Hard to believe,” said Feconey Cuzzin. “Then what happened?” said Scatty Vickerman. “Negative energy? Hang on there,” said Scatty Vickerman. “Is time an illusion?” asked Feconey Cuzzin. I think he was quoting someone else - not his calculation? the effects of the displacement of the GPS during the time of flight of the neutrinos. when you plug in the numbers you get 2 x 30 ns = 60 ns. You could add Doppler effects, etc if you wish. It is the same idea. Why the three Arrows of Time march together in lock-step. Think of the Three Musketeers "All for one, one for all. "- the Fourth is the Psychological Arrow of Consciousness. 2010, 46 pp., 10,850 words. “I’m the practical one on the team, as number two,” said Dr. Assebraker. “Universe expands and collapses?” said Scatty Vickerman. Sarfatti Comment: In the hologram theory the alignment of these two arrows is trivial. Also the special initial condition of the universe is trivial as well. We have both a past and future boundary hologram screen (2D surrounding surfaces - us at center) as given by Tamara Davis - the pixelated computing past particle and the future event horizons respectively. We are the interior bulk 3D hologram image projections clashing both past and future in the here-now in sense of Yakir Aharonov's overlap of history and destiny state vectors. However we also need macro-quantum coherent signal nonlocality beyond orthodox quantum theory for the whole madcap idea to work. Crazy indeed. Crazy enough to be true? condition and backward from the future boundary condition.” If you believe that, then conventional use of tense is indeed obsolete and distracting, and using the subjunctive mood in counterfactual statements becomes problematic." Obviously Mermin does not take this way of thinking seriously. Pity. Modern cosmology shows our past particle horizon must have a boundary condition as well as our future event horizon. If they are fractal, then all scales from Planck to Hubble are involved. Indeed, the physics on both of these 2D hologram screens is Bohm's Implicate Order with us as hologram images in the bulk 3D interior's explicate order. Seth Lloyd also thinks these observer-dependent pixelated surface horizons are computers - presumably quantum and possibly conscious? Aharonov wrote: "However, as Mermin certainly knows, analyzing sentences in isolation without the many clues found in context doesn’t do them justice. The initial setup is indeed elementary, and we put in all the details, so it is hard to see how it could be misinterpreted. The situation becomes far more interesting and surprising, though, when weak measurements are taken into account; to ignore them, as Michael Nauenberg and Art Hobson did, is to completely miss the point. We believe that no true understanding of quantum mechanics can be obtained without taking weak measurements seriously." “Television, and it didn’t use vacuum tubes since before I was born. “Yes, you know how a bursting shell flings shapnel in all directions. “Oddly enough,” she said, “The Bible was right about that. Literary Magazine, 1838, which sends the narrator back a millennium. And these used fictional Time Machines?” said Scatty Vickerman. considering a hypothetical method to determine the mass of a star. “Projectiles fired upward from the Earth,” said Feconey Cuzzin. “Michell asked himself how large this effect could be,” said Dr.
certain critical speed to escape from a star’s gravitational embrace. 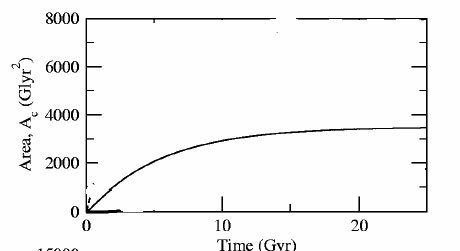 This ‘escape velocity’ depends only on the size and mass of the star. “You wouldn’t happen to have a copy?” said Feconey Cuzzin. who have seriously studied Einstein’s equations were less dismissive. “Dr. Who?” said Feconey Cuzzin. [end chapter; use the following in an another chapter. Too much talk. N.D. Mermin wrote: "Why has the Aharonov group been confusing some of us in this way for two decades? There is a clue in the final section of the authors’ PHYSICS TODAY article, where they talk about the flow of time. There they suggest taking seriously the idea that time “propagates forward from the past boundary condition and backward from the future boundary condition.” If you believe that, then conventional use of tense is indeed obsolete and distracting, and using the subjunctive mood in counterfactual statements becomes problematic." I don't know what you think you looked at. Again if you really want to know the relevant vetted literature I am sure that Puthoff, Maccabee, Brandenburg, Vallee and Friedman, for a start can guide you. So can Eric Davis who worked for Robert Bigelow at NIDS on UFOs and who currently works for Puthoff. Davis's reaction at Orlando 100 year Star Ship was obviously political in some way - he did not want to discuss what he really knows. Your logic below is most peculiar Jim. It seems to my way of thinking that if we see warp-wormhole technology in the skies from an advanced intelligence intruder that can knock our air force out of the sky and disable our nuclear missiles that is the most important fact we can have! It tells us that Hawking's chronology protection conjecture and other no-can-do arguments are wrong. Furthermore, I think the paper I gave at Orlando shows how they work. Of course, I can be wrong, but I am not even wrong. In any case, it's our best shot in my opinion. I am again attaching the final draft of my Orlando paper. You want disclosure? - the attached pdf is my best shot at that to date. From Government secret files...The report that shocked the Congress! The shattering report that stunned the world's top leaders now available to the public! Well, I looked at that "literature" many years ago. While some of it is entertaining, only one case was attended by information that might have some physics relevance -- the so-called RB-47 case (where passive monitoring electronics was present and recorded a strong 3 GHz signal). I see nothing in your conjecture that would relate to the signal detected in that case. The rest of the reports -- even if you take them as legitimate -- at most can be taken as evidence that someone has figured out how to do warp/wormhole tech. So what? That's not the question. Of course it is the question in my way of thinking. The question is: can we figure out how to do the tech? Of course we can. I think I have, though I may be wrong - that remains to be seen. You don't need to talk about UFOs to answer that question. Of course, we do. It's the 800 lb gorilla in the room to my way of thinking and to Brandenburg's and others. They are a needless distraction that debase a serious discussion of how to do the tech. Dead wrong in my way of thinking. Totally antithetical to my judgement here. Rogue physicist Dr. Jack Sarfatti crashes the UFO topic into DARPA's 100 Year Starship Symposium. Are there any clues left smoldering in the debris field? | STARstream Research | STARpod.org | News, Feature Stories, and more. Jack Sarfatti "A century can fundamentally change our understanding of our universe and reality," proclaims the DARPA website, "Man’s desire to explore space and achieve the seemingly impossible is at the center of the 100 Year Starship Study Symposium. The Defense Advanced Research Projects Agency (DARPA) and NASA Ames Research Center (serving as execution agent), are working together to convene thought leaders dealing with the practical and fantastic issues man needs to address to achieve interstellar flight one hundred years from now." Jack Sarfatti The transmitter can send the message retrocausally after the message is received. The signal nonlocality is metric independent not restricted by the causal light cone. The choice of where and when to transmit and where and when to receive is completely contingent on the free will of Alice and Bob for the same entangled pair. For example, Alice may be on a Starship many light years from Bob who stays on Earth. The coherent state is stored on the Starship whilst the specific qubit it is entangled with is stored in Bob’s receiver. Bob can receive future messages from Alice. Indeed, both of them can communicate with each other, each in their own real time, no matter what their global space-time separation is – if this general quantum theory with signal nonlocality proves correct.